The purpose of Allergic Living magazine is to engage, inform and assist readers living with food and environmental allergies and asthma. It offers in-depth articles about these conditions as well as useful tips and advice columns. The magazine, which was launched in 2005, draws upon the opinions of leading experts in the fields of allergy and immunology, dermatology, celiac disease, gastroenterology and nutrition. Allergic Living’s mission, in short, is to be an invaluable tool to the allergy, celiac and asthma communities. 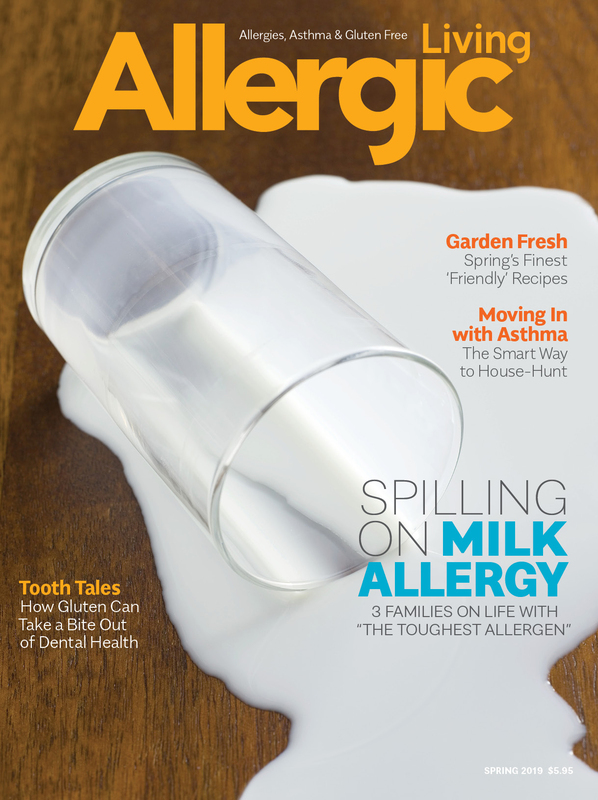 In keeping with Allergic Living’s aim to inform and assist, in April 2017, Allergicliving.com was relaunched to better serve its fast-growing audience with a fully responsive website, which offers enhanced news, research and lifestyle coverage. We work closely with national allergy and celiac groups, and also with support groups dedicated to helping families deal with day-to-day issues. We are also proud of the role we play in working with both new and established companies to enhance the lives of those living with food allergy, asthma or celiac disease. Gwen Smith, Allergic Living’s founder and editor, is a journalist with years of experience in both Canada and the U.S. Among her credentials, she has been the deputy managing editor of The Globe and Mail newspaper, the editor-in-chief of a major women’s magazine, a magazine writer and a radio and TV producer. Gwen knows first-hand the realities of life with allergies. She has food allergies to soy, shellfish and peanuts and environmental allergies. She also has had family experiences with asthma. She and the editorial team may be reached at editor@allergicliving.com. Several highly regarded medical writers and experts contribute regularly to the magazine. Leading photographers also work with the editors and art director. The Allergicliving.com website was developed by Flight Deck Media.